The main reason why it is important to exercise on a regular basis is for the health benefits. Exercise is known to improve many different aspects of your health. You will have better mental clarity, you will feel more energized, you will get sick less often, and you will generally feel much younger. Exercising regularly will help you feel more energized. At first, it can be tiring, but the more you exercise, the stronger your body will get. This will provide you more energy throughout the day. It will also make it easier for you to pursue the many things you love. Exercising releases endorphins throughout the body. These endorphins can help improve your moods and make you feel happier. This is a great way to boost your moods when you are feeling down, stressed out, or even depressed. Exercising will help you maintain a healthy weight. This is vital at an advanced age because the older we become, the slower our metabolism will get. Our slow metabolism will make it easier for us to gain weight. 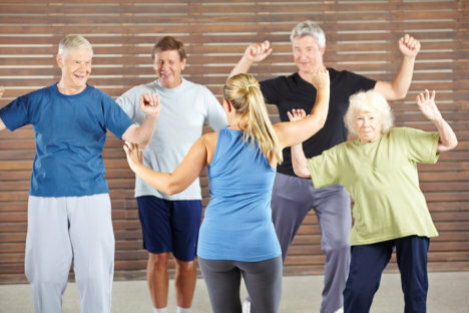 However, exercise can be used to counteract the effects of aging and ensure you are able to maintain a healthy body weight. There are many different benefits that you can enjoy from exercising on a regular basis. When you enter your golden years, this is one of the best things you can do to maintain your youth and independence. Also, our home care in Louisiana can help you every step of the way. If you would like to find out more about our Bayou Home Care and how we can serve you, please do not hesitate to get in touch with us anytime. This entry was posted in Regular Exercise and tagged Better Health, Exercising, Healthy Weight, home care. Bookmark the permalink.